12th WINTER SHORTS FEST: Featuring the nine 2019 César-Nominated Shorts. There will be a 20 minutes intermission. 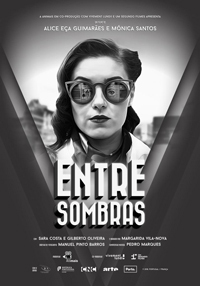 After the screening, the audience was invited to vote for the “Sacramento César" Awards. $12 General Admission for all. 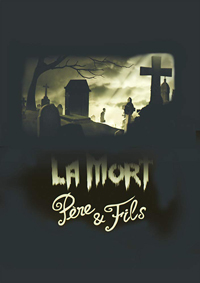 ANIMATION CATEGORY: LA MORT PERE ET FILS (Death, Dad & Son) by Winshluss & Denis Walgenwitz (Je suis bien content / Autour de Minuit). 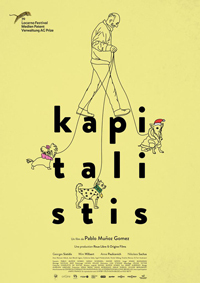 LIVE ACTION CATEGORY: KAPITALISTIS by Pablo Muñoz Gomez (OriGine Films) was your overwhelming favorite in the Live Action category. 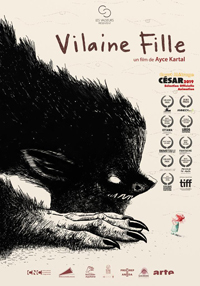 In Paris, the actual César were awarded to VILAINE FILLE (Kötü Kız - Wicked Girl) by Ayce Kartal (Les Valseurs) and LES PETITES MAINS (Little Hands) by Rémi Allier (Films Grand Huit). Death's son doesn't want to take over the family business. His secret desire to become a guardian angel triggers a series of major mishaps and dad will have to intervene to clean up his mess. Awards: 2018 Sapporo International Short Film Festival and Market, Special Jury Mention; 2018 International Animated Film Festival in Geneva (Animatou), RTS Young Audience Prize; 2018 Rhode Island International Film Festival, Flickers' Youth Film Jury Awards - Best Animation; 2018 Annecy International Animation Film Festival, Junior Jury Prize; 2018 Brooklyn International Film Festival, Best Animated Film; 2018 Clermont-Ferrand International Short Film Festival, Special Canal+ Family Jury Mention; 2018 MyFrenchFilmFestival.com, International Press & Lacoste Audience Awards. by Ayce Kartal - 2016- Les Valseurs - 8 minutes - ANIMATION (In Turkish with English subtitles). S. is an eight-year-old Turkish girl endowed with an exuberant imagination. She recalls the happy days spent in her grandparents village, but dark and terrifying memories rise to the surface. Awards: 2018 Filmets, Best Animated Film; 2018 Istanbuul Film Festival, FIPRESCI Prize; 2018 Hong Kong International Film Festival, Firebird Award; 2018 Tampere Film Festival, Special Jinzhenin Film Festival Prize; 2018 Anima, Special mention; 2018 Clermont-Ferrand International Short Film Festival, Grand Prize; 2017 Leeds International Film Festival, Best Animation Prize; 2017 International Animated Film Festival in Geneva (Animatou), Doc'Anim Prize; 2017 Ottawa International Animation Festival, Best Narrated Animation; 2017 Message to Man - Russia, Best Animated Film; 2017 Seoul International Cartoon & Animation Festival, Special Jury prize; 2017 Annecy International Animation Film Festival, Jury Prize. by Alice Guimarães & Mónica Santos - 2018 - Vivement Lundi ! / Agéncia da Curta Metragem - 13 minutes - ANIMATION (In Portuguese with English subtitles). In a surreal world where hearts can be deposited in banks so people can avoid falling in love, Natalia helps a man find his stolen heart. Awards: SAE Creative Media Institute Prize, 2019 Flickerfest; Audience Award & Youth Jury Special Mention, 2018 Curtacinema; Audience Prize, 2018 Festival Animafest, Zagreb; Audience Prize, 2018 Vila do Conde International Short Film Festival; Special International Jury Prize, 2018 Hiroshima International Animated Film Festival. 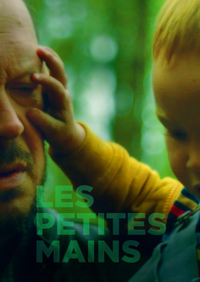 Léo, one and a half, is the son of the director of a factory that is about to close down. As the workers occupy the factory, one of them, Bruno, kidnaps Léo. Award: 2017 Tübingen | Stuttgart International French-language Film Festival, Grand Prize for Best Short Film. Awards: 2019 Clermont-Ferrand International Short Film Festiva, France Televisions Prize; 2018 Leeds International Film Festival, Best Animated Film; 2018 Vila do Conde International Short Film Festival, Grand Prize for Animation. "Santa Claus is a capitalist. He brings toys to rich kids and sweaters to poor kids," says Nikos, age five. A fantastic little gem full of humor and tenderness! Awards: 2018 Thessalonique International Short Film Festival, Best Director Prize; 2017 Seminici, Best European Short; 2017 FIFF, Audience Prize & Special Jury Prize; 2017 Locarno International Film Festival, Medien Patent Verwaltung AG Prize. Mylène, the head cleaning lady on a ferry boat, is moved when her colleagues surprise her with a birthday party. But on the birthday card presented to her, Mylène is shocked to see her former name, from her former life – a man's name, Joseph. Who knows about her past? 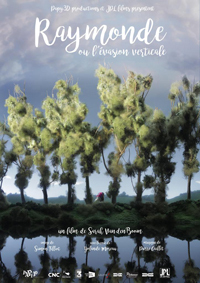 Award: 2018 Bienne French Film Festival, Discovery Prize. The Krump is a street dance born in Los Angeles after the 1995 riots. Through this performance by the best French and Belgian "krumpers" filmed on the set of the Opera Bastille in Paris, Cogitore creates a battle between contemporary urban culture and the 18th century music of Jean-Philippe Rameau. A visual and auditory shock! 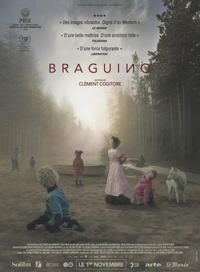 Clément Cogitore, who also directed Braguino, is nominated for two César this year! Awards: 2018 Unifrance Prize; 2018 Thessalonique International Short Film Festival, Best Director Prize; 2018 Clermont-Ferrand International Short Film Festival, Special Mention from the National Press Jury & Audience Prize. In the middle of the Siberian Taiga, 450 miles from the nearest village, live two families: the Braguines and the Kilines. Self-sufficient, both families live there according to their own rules and principles. In the middle of the village: a barrier. The two families refuse to speak to each other. 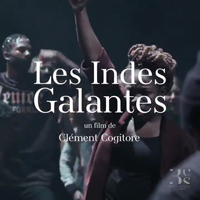 Clément Cogitore, who also directed Les Indes Galantes, is nominated for two César this year! Awards: 2018 IndieLisboa International Independent Film Festival (Lisbon), Silvestre Award for Best Short Film; 2018 Clermont-Ferrand International Short Film Festival, Best Orignial Music; 2017 San Sebastian International Film Festival, Zabaltegi - Tabakalera Prize. Manifest was founded in 2015 by several French production companies to capitalize on their distribution resources and know-how to promote their short films worldwide. Today, Manifest acts as both sales agent and festival distributor for over 90 short films and works with 14 production companies. Manifest acquires 20 to 25 short films per year. Unifrance is an organization dedicated to promoting French cinema worldwide. Unifrance is involved at every stage in the life of a French film abroad, from its selection at a recognized film festival to its presentation at an international market, to its commercial release in one or more foreign countries.